Mount Kelly’s Emily Cutler won her third backstroke gold in the women’s 16/17yrs 50m in the final event of the day five finals, and James Cooper topped the medal table with his fifth national title. Emily Cutler completed a golden hat-trick with victory in tonight’s 16/17yrs 50m Backstroke. The Mount Kelly swimmer demonstrated her strength in this stroke, winning her third backstroke gold of the championships in 30.16. Savanna Jemmett (Sevenoaks) took silver in 30.39, while Courtney Price (Royal Wolverhampton) touched third in 30.54. In 12/13yrs final Bromley’s Imogen Meers took gold in 30.91 ahead of Lucy Hardey from City of Liverpool who took silver in 31.54. Ellesmere’s Phoebe Townsend and United Bristol’s Alysia Maestri were in perfect sync touching the wall in 31.62 to take share the third step of the podium. Jersey swimmer Holly Hughes took victory in the 14yrs 50m Backstroke in a new lifetime best of 31.01. In a tight race for silver, Newquay’s Amber Price touched in 31.81 to push Hartlepool’s Katie Laybourn into third with a time of 31.84. With less than a second separating all ten finalists heading into the 15yrs 50m Backstroke, it was an exciting race for gold. Millfield’s Olivia Halcox was able to push through the field to touch first in 30.75, while only 0.02 seconds separated Teddington’s Sophie Johnson who took silver in 31.20 and Plymouth Leander’s Lucy Burchell who touched in 31.22 for bronze. Nothing separated Guilford City’s Sophie Du Plessis and Doncaster Dartes’ Shannon Dodson in the 18yrs+ 50m Backstroke with the pair touching the wall in 30.50 to share the top of the podium. City of Oxford swimmer Elizabeth Oliver took bronze in 30.62. In the Men’s MC 400m Freestyle, Swim Trafford’s Craig McNeil (S10) posted a time of 4:35.48 to win gold with 691 BDP ahead of City of Peterborough’s Jaxon Simmons (S13) who touched in 4:35.62 to score 624 BDP, while Cupar’s Oliver Carter (S10) won bronze in 4:45.39 and scored 622 BDP. In the women’s event, it was gold for Hoddesdon’s Grace Harvey (S7) with a score of 637 BDP (5:47.55). Burnley’s Katie-Rilett Young (S6) took silver in lane zero with a score of 634 BDP (6:11.47), while Warrington Warriors’ Coral Farrell (S10) was third with 629 BDP (5:18.43). James Cooper won his second gold of the day with victory in the Men’s 12/13yrs 100m Backstroke. The Romford Town swimmer led the race from the start, touching first in a time of 1:03.80. Havant and Waterlooville’s Luke Pullen won silver in 1:04.27 with Swim Trafford’s Max Martin third in 1:04.98. Kieran Rutter added gold in this evening’s 14yrs 100m Backstroke to the silver medals he won in the 50m and 200m Backstroke earlier this week. 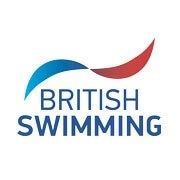 The Sutton and Cheam swimmer was able to find clear water in the closing stages of the race to touch first in 1:02.77. Mount Kelly’s Jacob Newcombe stormed the final 50 metres to win silver in 1:03.39 ahead of Bishop Stort’s Daniel Chada who touched third in 1:04.11. The 15yrs 100m Backstroke was won on the touch with Chalfont’s Samuel Phippen clinching gold in 1:01.80 and edging City of Peterborough’s Matthew Gray into silver with a time of 1:01.95. City of Leicester’s Adam Wilkies rounded out the top three, posting a time of 1:02.68 to take bronze. Doncaster Dartes swimmer Jarvis Parkinson, silver medallist in the 200m IM at the European Games in Baku last month, looked strong as he took gold in the 16/17yrs 100m Backstroke in 57.94. Ellesmere College’s Jacob Jackson touched second to claim silver in 59.03, while City of Birmingham swimmer Jake Dixon won bronze in 59.31. “I was panicking at the 50m mark because I thought I had gone out too slow,” said Parkinson. “Everyone seemed to be next to me and I could see their arms propelling around me. Ciaran Beard-Jones stood on top of the podium after winning gold in the 18yrs+ 100m Backstroke. The Stockport Metro swimmer edged ahead of James Reidy in the final 10 metres to touch first in 57.52. Bo Kirklees’ Reidy took silver in 57.62 ahead of Pioneer 79’s Thomas Gilroy who touched third in 58.54.